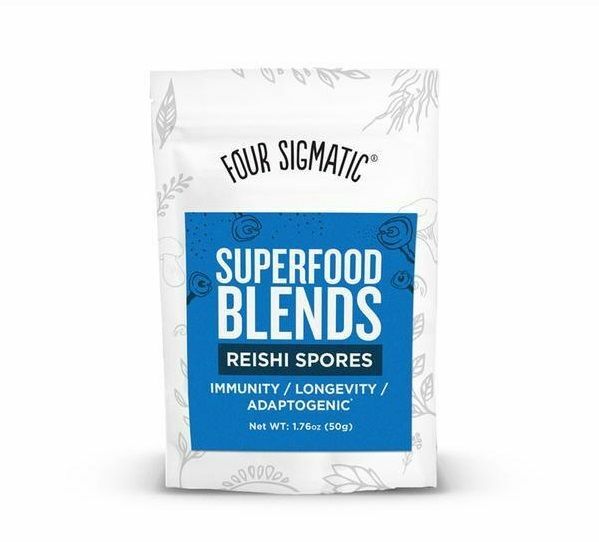 Four Sigmatic Reishi Spores Blend contains just the spores of the reishi mushroom (Ganoderma lucidum). Supports the immune system and energy. Contains 50 grams. Superior cost/quality ratio. Spores are the 'seeds' of mushrooms. Just like seeds, spores contain the most important nutrients a young mushroom needs to grow. Any beneficial compounds the mushroom produces are also concentrated in the mushroom's spores. The Reishi mushroom (Ganoderma lucidum) has been under investigation for a long time due to its beneficial effects on human health. For instance, reishi supports a normal immune system function, supports healthy cholesterol levels and provides you with more energy. Additionally, reishi spores contain a high concentration of triterpenes. 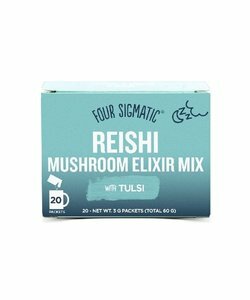 Why Four Sigmatic Reishi Spores? 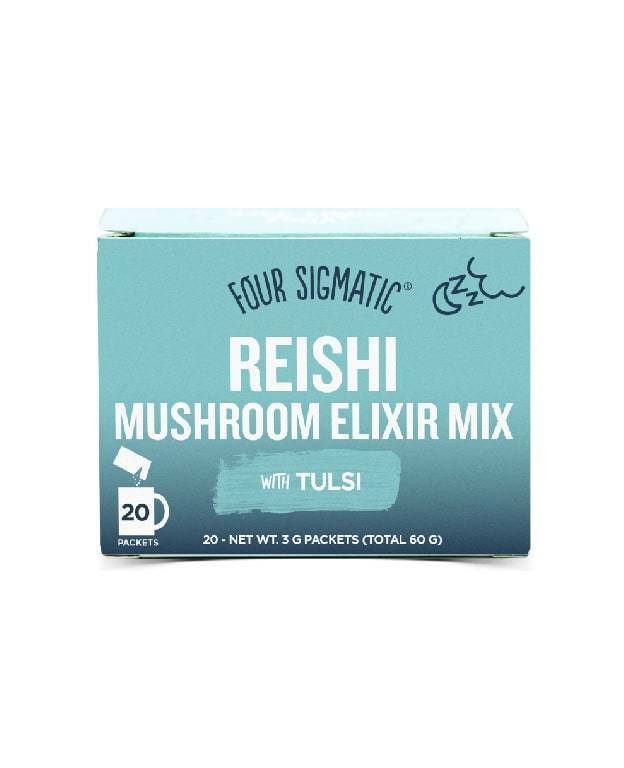 Four Sigmatic specialises in making products with mushrooms such as reishi. 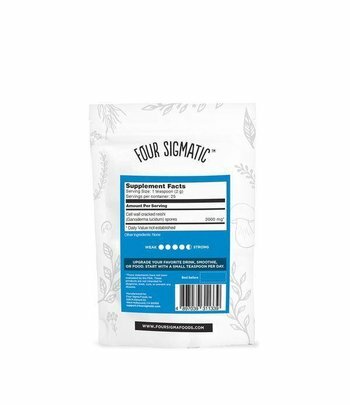 Four Sigmatic's production process is optimised to extract as many active compounds from the mushrooms as possible and make them bio-available, without compromising their integrity. 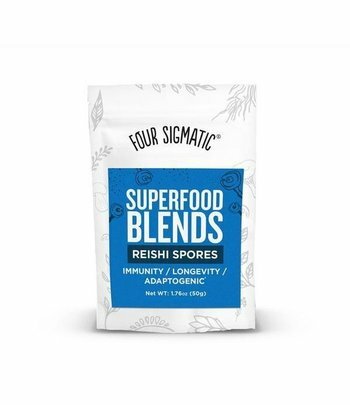 In the case of Reishi spores, Four Sigmatic has cracked the spores to make their contents more absorbable. 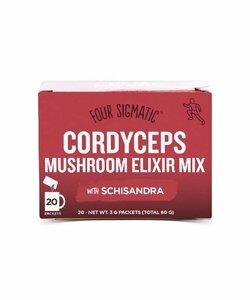 Contain just reishi spores, nothing else. 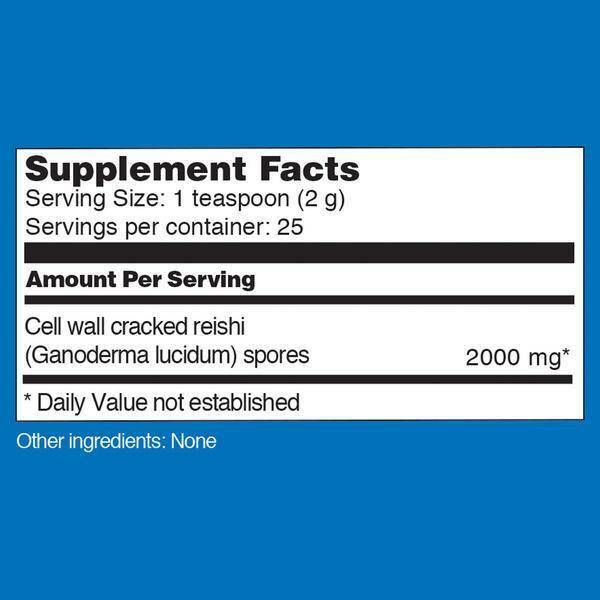 Reishi spore contents are made better absorbable by cracking the spore cell walls. 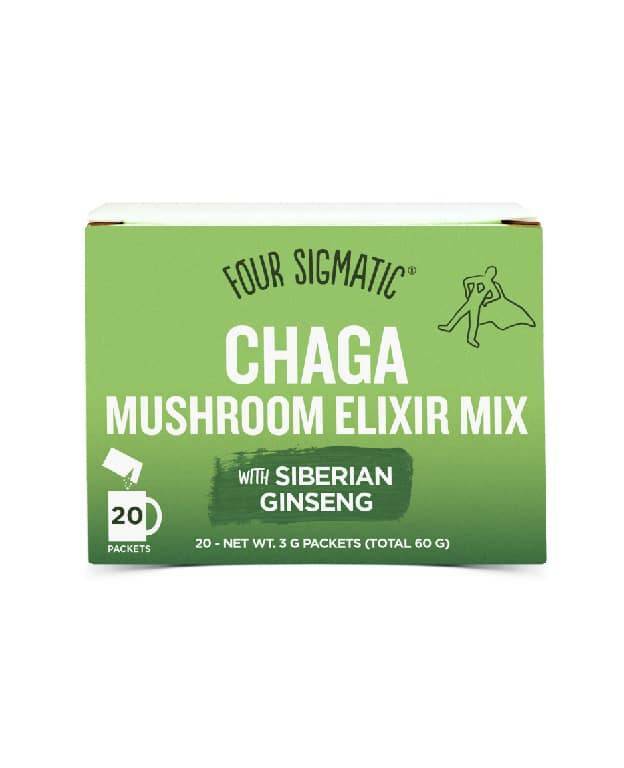 Take 2 grams (1 teaspoon) of Four Sigmatic Reishi Spores daily. You can add this to any meal, beverage or baked good. This makes no difference to the function of the spores. Reishi spores have a nutty, earthy flavour. 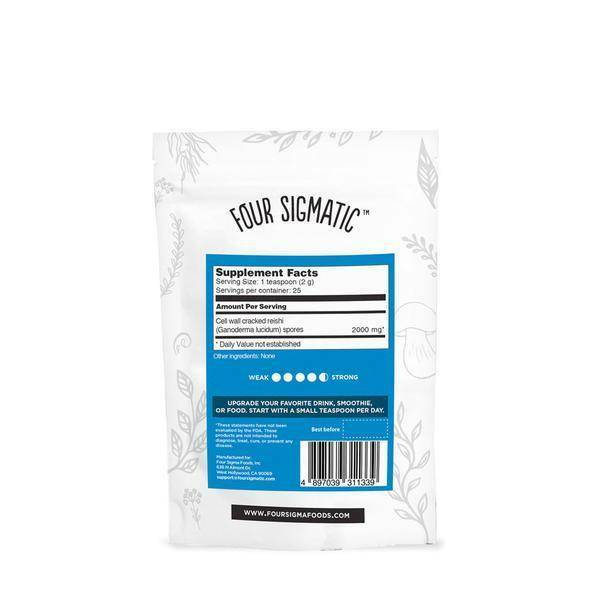 Four Sigmatic recommends to add it to slightly bitter beverages, such as the Four Sigmatic mushroom elixirs or hot chocolate drinks. 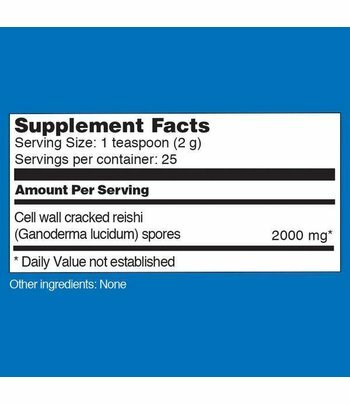 Consume the reishi spores in the afternoon or early evening to benefit most from their effects. 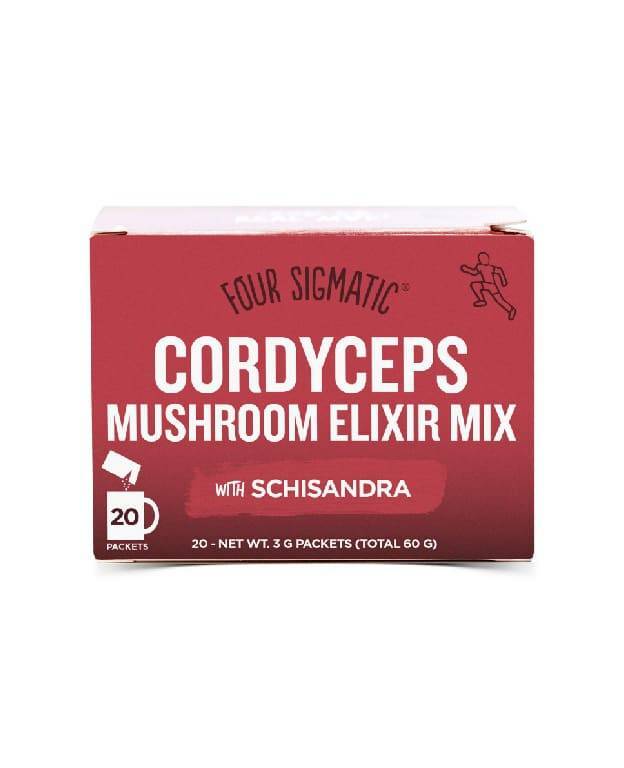 The package contains 50 grams of Reishi spores, sufficient for 25 portions. 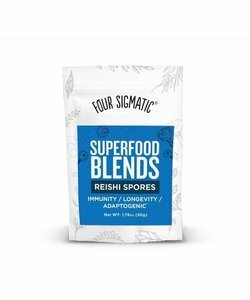 Four Sigmatic Reishi Spores is a dietary supplement in the herbal preparation category.